We have already given you a list of the 10 hot up-and-coming Chinese phone brands, but we know there are many more manufacturers out there you probably should know about. Today we are back with a second list, this time showing you 10 more companies that you should definitely keep an eye on. Most people in the West don’t know much about the majority of these brands, but they make some amazing Android smartphones and tablets! Hell… maybe after taking a look at this post you will want to buy a Chinese smartphone. I know I could definitely live with some of the handsets from these phone makers. Ready? Let’s get you introduced. 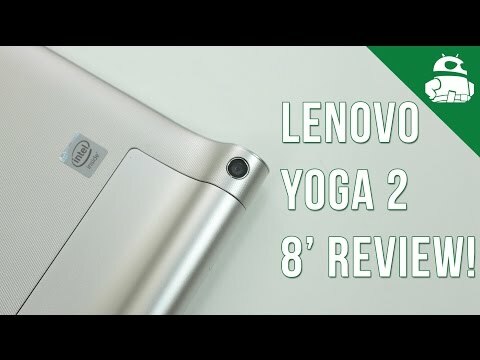 We are sure Lenovo doesn’t need much of an introduction. This manufacturer is no young gun or small contender. And they are not only an important manufacturer in China – Lenovo’s influence extends all across the world, as it’s one of the top smartphone makers around (especially since acquiring Motorola). In fact, they are only growing; the company reported 18.7 million smartphone shipments for Q4 2014. 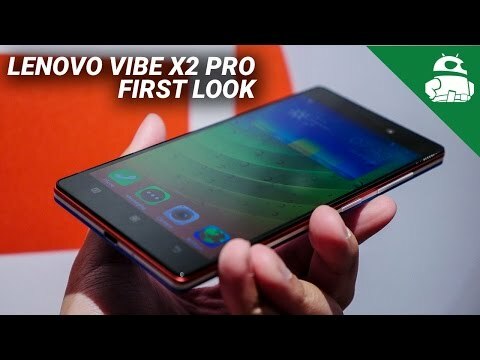 Lenovo is mostly known for its great computers, but they also aim to compete in the highly competitive mobile industry. With plenty of devices in every category and price range, Lenovo has it all – affordable smartphones, portable projectors, awesome tablets, high-end super phones and more. 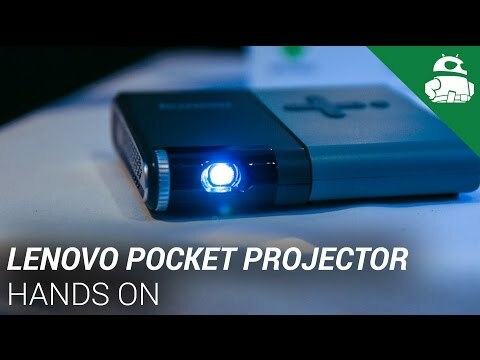 To learn more about Lenovo’s products, we advice that you take a look at the Lenovo K3 Note, Vibe Shot, Pocket Projector, P70, P90 and Yoga Tablet 2. Of course, we can’t forget Alcatel, a company you may actually be more familiar with now. Alcatel itself may not exactly be Chinese (the brand originally belonged to a French company), but its parent company is TCL, which does come from the Asian country. In essence, Alcatel OneTouch is a sub-brand. Many other companies from China are using this renaming technique in order to become more widely accepted in Western markets, and it seems to be working. 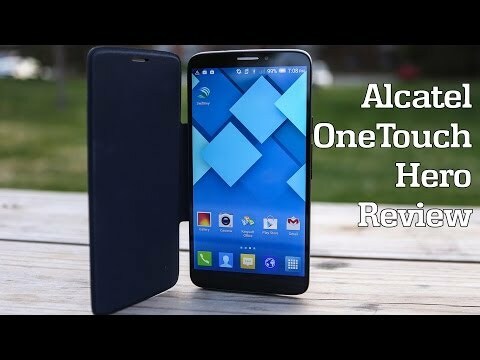 Alcatel OneTouch is getting more attention in the USA since the release of the Idol 3, a smartphone that offers a low price, strong performance and a solid build quality. The company is also signing noteworthy marketing deals with important soccer teams, such as the Toronto FC and the LA Galaxy FC. One can say Alcatel is already ahead of most of the Chinese competition, as they have actually managed to sell their devices here. Now it’s just a matter of advertising and getting that image out there! 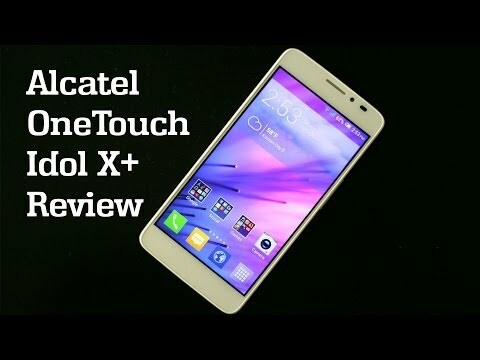 Read our Alcatel OneTouch Idol 3 review to see what these guys can do! 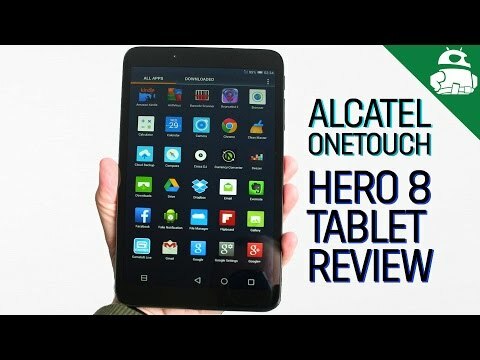 Alcatel Onetouch Hero 8 Review! 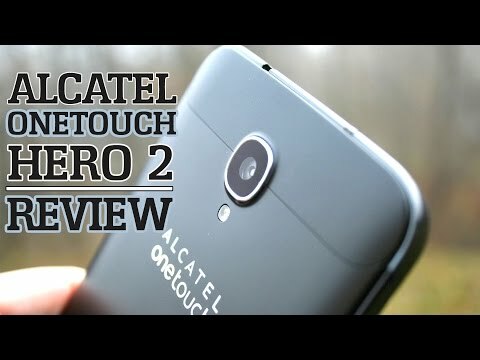 Alcatel OneTouch Hero 2 - Review! UMi may not get too much attention outside of China, and especially not in the USA, but they make some great devices with innovative features. The company recently announced the Umi Zero 2, a handset that sports an e-ink display in the back side (a la YotaPhone). This one caught our eye because of the battery-saving capabilities it can offer, but every one of Umi’s smartphones is special in some way. The UMi eMax is only 7.9 mm thick, yet touts a whopping 3780 mAh battery. The UMi Iron uses eye recognition technology for security authentication. If those unique features aren’t cool enough, you can also opt for the Hammer S, which adopts USB-C technology and a fingerprint reader, aside from doubling as a smart remote controller! There seem to be no plans for UMi coming to the west, but we sure hope they would consider it. These devices are quite fun and impressive. Let’s be real: Elephone doesn’t make the best devices, but they do offer great value. These phones are very affordable and happen to come with a good spec list, making them great options for those looking to get more for their money. We have previously reviewed the Elephone P3000, P5000, P6000, P7000 and P8000. These all provide different types of advantages. The P8000 and P7000 have overall great specs. Meanwhile, the P5000 is most known for its massive 5350 mAh battery. But if what you want is something affordable, you can’t go wrong with the P3000 and P6000. I do have one complaint, though – these guys should really work on their smartphone monikers! Coolpad won’t win any design or performance contests, but their accessible prices have turned them into one of the most influential brands in China, the company’s home country. At one point they were even selling more smartphones than Apple (in said country). Furthermore, Coolpad concluded 2014 with 9.4% in Chinese market share. Surely nothing to scoff at. And if this brand sounds familiar, it’s because the company has started making its way here. You will find their super affordable tablets at Walmart and some prepaid carriers. Want to talk about emerging Chinese manufacturers? Smartisan is among the newest around, and that doesn’t really mean they can’t compete. 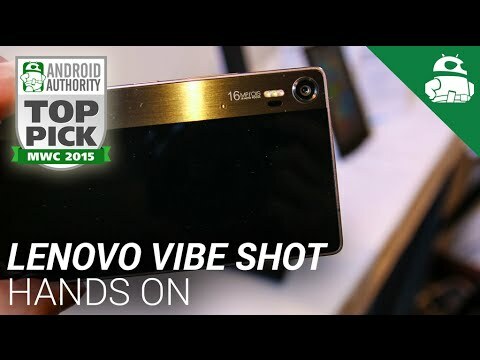 The company announced their first smartphone in May, 2014, and it is quite the beauty. This handset goes by the name of Smartisan T1. It packs a 4.95-inch 1080p display, a Snapdragon 801 processor, 2 GB of RAM, 16/32 GB of internal storage, a 13 MP camera and a 2490 mAh battery. These specs were definitely good when the phone was unveiled, but its internals are not the only things that caught our eye. This phone happens to be gorgeous! We sure hope Smartisan can survive in this competitive market; hopefully one day they will make it to the USA! Vivo is another new smartphone brand, founded in 2009 (not to be confused with BLU’s Vivo smartphone series). These guys have been doing amazing work the past few years. They were actually the first to put a QHD (2560x1440p) resolution display in a smartphone. More recently they launched the Vivo X5Pro, a smartphone that is thin, light, and greatly designed. Their products are no joke, and the coolest part is that you can actually find some of them in the USA! The Vivo X5Pro can be purchased straight from Amazon, for example. It’s not exactly the cheapest phone around, but at least it’s around. Zopo is still a bit of an unknown brand to the general consumer, but they are way ahead of other Chinese brands in terms of global reach. Their products are offered by many European online retailers, and the company has opened experience stores in France, Hong Kong, Italy, Jordan, the Netherlands, Malaysia, Spain and other markets. The company has a long list of smartphones and label them by three different categories. Their “Speed” smartphones are the higher-end ones. The “Flash” line-up focuses on camera quality and design. Ultimately, the “Color” series includes their affordable handsets, mostly meant for younger customers and casual users. Mlais is a smaller manufacturer, but they sure know how to make an affordable handset. Their phones come very well-specced for their prices. For example, the Mlais M7 Plus has an octa-core processor, 3 GB of RAM, a fingerprint reader, Android 5.1 Lollipop, a 13 MP camera, Quick Charge technology, 4G LTE, a 5.5-inch HD display and more. If you are looking for more battery life, you can also opt for the Mlais MX, which is not quite as powerful, but does feature a whopping 4300 mAh battery. The best part? They have plenty of partners that will ship to the USA. China is very well-known for its clones, and my personal favorite brand for these smartphone copycats is No.1. I happen to like them because, though they make clones of other mainstream devices, they don’t exactly try to be other phone makers. The company is very proud of its brand and every single one of its products wears the moniker proudly. These guys are not trying to fool you into buying a “fake” smartphone, they simply take the design from others and replicate it. By the way, these phones are amazingly cheap, but they don’t skimp out on design and build quality (they do on specs). For example, their No.1 S6i is a Galaxy S6 clone, and it happens to look and feel just as good as the original! It will also help that the S6i is only about $120 USD! 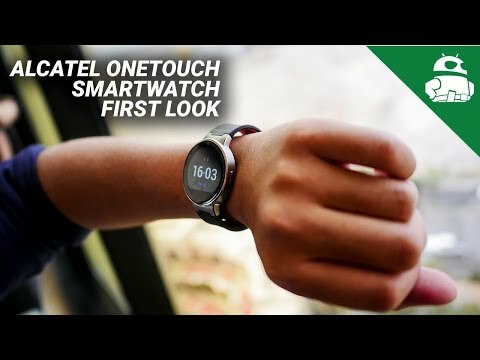 There’s also some great smart watches and rugged phones in their official website, just in case you are interested to see more of their work. But really guys, I do believe this brand is No.1 when it comes to smartphone clones, and the best part is they are not trying to fool you by putting other manufacturer monikers in their devices. You know what you are getting right off the bat. So there you have it, guys! Here is another set of great Chinese manufacturers you should definitely keep an eye on. We know there are plenty of others, but we really wanted to focus on the main ones for now. Maybe we can do a post featuring the more obscure ones later, but we just wanted to make sure to create more consciousness about these great manufacturers. So tell us, guys. Have you considered getting devices from any of these brands? Which ones?